My mom says everyone knows how to make these, but I didn’t know how until I asked her. My niece loves them. 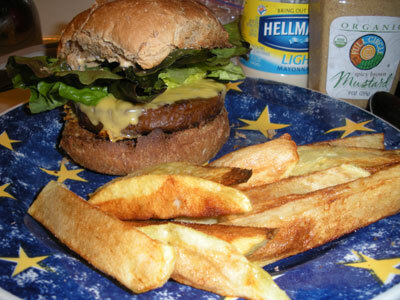 Try them with a veggie burger. 1) Pour oil in a deep kettle and heat to medium-high. 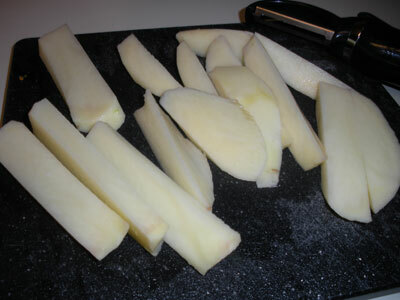 2) Wash and peel the potatoes and slice length-wise into long, but thick wedges. 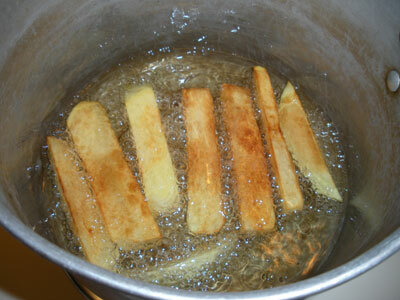 3) Carefully drop each wedge into the hot oil. Turn with metal tongs after about 7 minutes or when one side is golden brown. Cook the other side until also golden brown. 4) Place on a paper towel to cool and drain off excess oil. Sprinkle with salt. Be careful when making these because it’s a lot of hot oil.